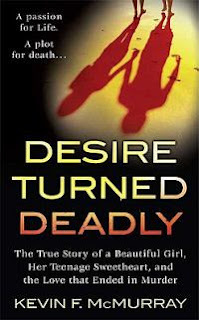 New true crime book releases.These books were published in March 2009. Two hours later, police arrived at the Borden residence to find that Mr. and Mrs. Borden had been shot dead,and David and Kara were nowhere to be found. Was Kara a hostage? Or an accomplice? A manhunt began that would end hundreds of miles away in a highly televised speed chase. The two lovers were eventually captured,and one would spend a life behind bars. This is the true story of a crime set in a closely-guarded world of fundamentalist belief, and the tale of a God-fearing teenager. The statistics are startling. Since 1973, America's imprisonment rate has multiplied over five times to become the highest in the world. More than two million inmates reside in state and federal prisons. What does this say about our attitudes toward criminals and punishment? 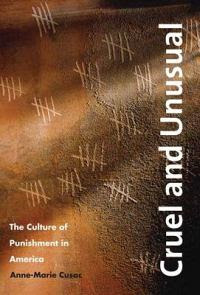 What does it say about us?This book explores the cultural evolution of punishment practices in the United States. Anne-Marie Cusac first looks at punishment in the nation's early days, when Americans repudiated Old World cruelty toward criminals and emphasized rehabilitation over retribution. This attitude persisted for some 200 years, but in recent decades we have abandoned it, Cusac shows. She discusses the dramatic rise in the use of torture and restraint, corporal and capital punishment, and punitive physical pain. And she links this new climate of punishment to shifts in other aspects of American culture, including changes in dominant religious beliefs, child-rearing practices, politics, television programmes, movies, and more.America now punishes harder and longer and with methods we would have rejected as cruel and unusual not long ago. These changes are profound, their impact affects all our lives, and we have yet to understand the full consequences. Forget everything you think you know about Clyde Barrow and Bonnie Parker. Previous books and films, including the brilliant 1967 movie starring Warren Beatty and Faye Dunaway, have emphasized the supposed glamour of America's most notorious criminal couple, thus contributing to ongoing mythology. The real story is completely different and far more fascinating. 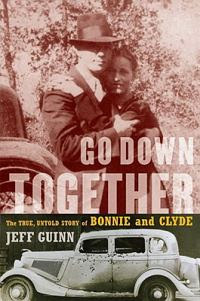 In Go Down Together: The True, Untold Story of Bonnie and Clyde, bestselling author Jeff Guinn combines exhaustive research with surprising, newly discovered material to tell the real tale of two kids from a filthy Dallas slum who fell in love and then willingly traded their lives for a brief interlude of excitement and, more important, fame. Their timing could not have been better,the Barrow Gang pulled its first heist in 1932 when most Americans, reeling from the Great Depression, were desperate for escapist entertainment. Thanks to newsreels, true crime magazines, and new-fangled wire services that transmitted scandalous photos of Bonnie smoking a cigar, to every newspaper in the nation, the Barrow Gang members almost instantly became household names on a par with Charles Lindbergh, Jack Dempsey, and Babe Ruth. In the minds of the public, they were cool, calculating bandits who robbed banks and killed cops with equal impunity. Go Down Together has it all:true romance, rebellion against authority, bullets flying, cars crashing, and, in the end, a dramatic death at the hands of a celebrity lawman hired to hunt them down. Thanks in great part to surviving Barrow and Parker family members and collectors of criminal memorabilia who provided Jeff Guinn with access to never-before-published material, we finally have the real story of Bonnie and Clyde and their troubled times, delivered with cinematic sweep and unprecedented insight by a masterful storyteller. 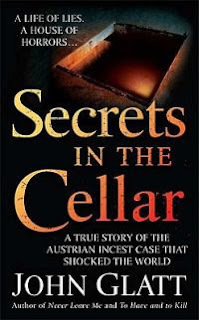 For twenty-seven years, Josef had imprisoned and molested Elisabeth in his man-made basement dungeon, complete with sound-proof paneling and code-protected electric locks. There, she would eventually give birth to a total of seven of Josef's children. One died in infancy,and the other three were raised alongside Elisabeth, never to see the light of day. When he walked into the Humbolt County Sheriff's Office in Northern California with a woman's severed breast in his pocket, 36-year-old Wayne Adam Ford wasn't even a suspect. But before it was all over, he would be convicted of the grisly torture and murder of four women, two of whom he dismembered. If Ford hadn't confessed, he'd probably still be out there today. But he did confess - because he knew he'd kill again. 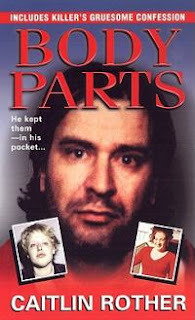 Based on previously sealed testimony and interviews with the key players in the case, Body Parts is a frighteningly intimate look into a twisted man overcome by the horror of what he had done, and powerless to resist his increasingly perverse sexual appetites. Ford's statement was only the beginning as the trial became a maze of legal one-upmanship and inadmissible evidence. Now, with unprecedented access, Caitlin Rother at last reveals the full picture of what drove a damaged man to his unspeakable crimes. The shocking murder of admired media and advertising persona Jim Leslie spurred journalist and political insider Bill Keith to thoroughly investigate Police Commissioner George D'Artois. Viewed by the citizens of Shreveport, Louisiana, in the 1970s as a powerful yet mindful figure, D'Artois was able to hide his corrupt activities. That is until Leslie's murder shed light on his corrupt behavior. Fuelled by his responsibility to uncover the truth, Keith delves into D'Artois's political and personal life. As the investigation unfolds, the commissioner's participation in embezzlement, racial prejudice, pay-offs, and abhorrent abuse of authority is exposed. Years of disregarded evidence slowly begin to reveal the commissioner as a fraudulent politician striving to bring organized crime to the city. Although every aspect of his career is called into question, D'Artois does not back down. Instead, he uses his powerful ties to hinder Keith and the five courageous lawmen that try to put a stop to his criminal ways. With each passing month and published newspaper article, the citizens of Shreveport direct their attention to the political upheaval occurring around them. 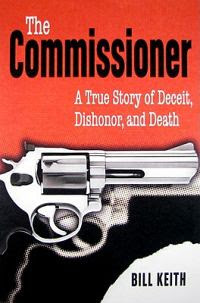 Multiple indictments for felony and tampering with evidence eventually lead to the commissioner's resignation; however, his crooked behavior did not cease until the assassination of Jim Leslie was resolved. It is only then that the shaken city was able to put the damaging rise and fall of D'Artois to rest. ABOUT THE AUTHOR: Bill Keith received a bachelor of arts degree in journalism from Wheaton College in Illinois. He continued his studies at Southwestern Baptist Theological Seminary in Fort Worth, Texas. Following graduation, Keith worked as a journalist for forty years and traveled to thirty-five foreign countries. Some of his journalistic credits include working as a war correspondent in Vietnam, an investigative reporter for the Shreveport Times, and city editor for the Shreveport Journal. He resides in Longview, Texas, with his wife and is a full-time writer. All it takes is a kitchen knife, a heavy object from the mantel, or a gun from the bedside cabinet. Jealousy, revenge, and lust are the oldest motives for murder. When passions run high, spurned lovers can act without thought. Crimes of Passion chronicles over 80 cases in which the heart ruled the head with fatal consequences. 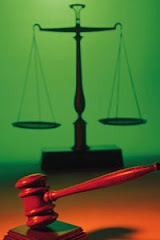 Some are spur-of-the-moment rages from betrayed partners that have elicited sympathy from judge and jury; others are planned acts of revenge that have shown and received no mercy; and some remain unsolved. On a sunny morning, 20-year-old Nancy DePriest was found naked, raped, and shot in the restaurant where she worked. The crime shocked a nation and was later dubbed by the national press The Pizza Hut Murder. Nancy's mother, Jeanette Popp, along with Wanda Evans, poignantly recount the senseless crime and a mother's journey to find the killer. As the grief and sorrow pulled her apart, Jeanette learned that Christopher Ochoa had confessed to the crime and implicated his friend Richard Danziger. They were charged and convicted to life terms in 1990, yet over the course of twelve years, another suspect emerged from the shadow who confessed to the murder. Jeanette joins the Innocence Project and struggles to free Ochoa and Danzinger, whom she now believes have been wrongly convicted, while bringing the real killer to justice. 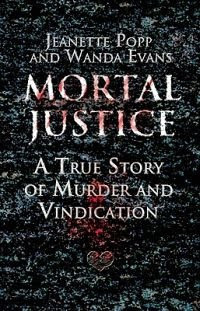 Mortal Justice is an emotionally powerful, profound human drama and gripping true story of murder, false confessions, and justice long overdue. Hi Yvette, I just tried to add a comment on your previous post, which didn't seem to work, hoping this one makes it. Actually my name is Sharon, I just don't use it mainly because I have spent years nagging my daughter about cyber safty, you know, never put personal details on line. So I thought I should practice what I preached and also I guess putting my views online for everyone to see made me feel a bit vulnerable. I understand what you say about learning from the books you read, and how hard parenting a teenager can be, finding that balance isn't easy. Even the best of parents can still face tragedy, friends who have a model family, aware, close and loving, still lost a child to drugs. Last weekend our community faced another tragedy, not a crime in the conventional sense, although the driver of the car, if he survives faces a lengthy jail sentence. Seven boys, year 11 and senior students, climbed into a car, two were in the boot, they had all been drinking, they didn't make it home. Three boys have died, two are still critical and only the boy in the front passsenger seat has survived with out life threatening injuries. All these boys had done alcohol and driver awarness courses and yet they still did something incredibly stupid. The things that people do really amazes me, like the teenager who was involved in the murder of her parents or the woman you wrote about who murdered her children, I can't begin to comprehend things like that. You have opened my mind to a new genre. I popped into a book shop, while waiting to get a hair cut today and, for the first time I noticed the really quite large collection of True crime they stocked, it is obviously very popular. I havn't bought one yet, but I will read one in the future, I did notice books on significant criminal cases in recent history that I found intriguing, so when time is on my side I will be trying something new. I really enjoy your insightful posts. That is a terrible story.Sometimes I wish they would make as big a fuss about alcohol as they do about smoking.I think it is just as dangerous if not more.